And I'm back to tear it up, haters, start your engines I hear 'em gearin' up... and you know the rest. As silly as my Kanye reference may seem, I'm actually serious when I hear the hater's engines gearing up, and by the haters I mean fast fashion companies. If you don't already know what Fashion Revolution movement is, then read more while I explain. Here's the deal - three years ago, April 24, 2013, 1,134 helpless people died and 2,500 injured due to the collapse of the Rana Plaza Complex in Dhaka, Bangladesh. This week, thousands of people around the world stand in solidarity with the victims and their families and to those who still suffer in sweatshop factories. The companies who outsource these factories are fast fashion companies like H&M, Forever 21, Urban Outfitters, and anyone else who puts out new styles more frequently than just your basic Fall/Winter, Spring/Summer collections. This is also not limited to the major brands like Dolce & Gabbana, Dior, Diane Von Furstenburg and many more. This is driven by the desire for more money, because a basic understanding of economics will explain that cheap production costs lead to bigger profit. However, the people paying the biggest price are the people who have no other option than to work in these factories. So think twice before you support anyone of these fast fashion companies. Also share this post on your Facebook, Twitter, Instagram, blog, wherever! Be a part of something bigger than you and help spread the movement! Want to know more? 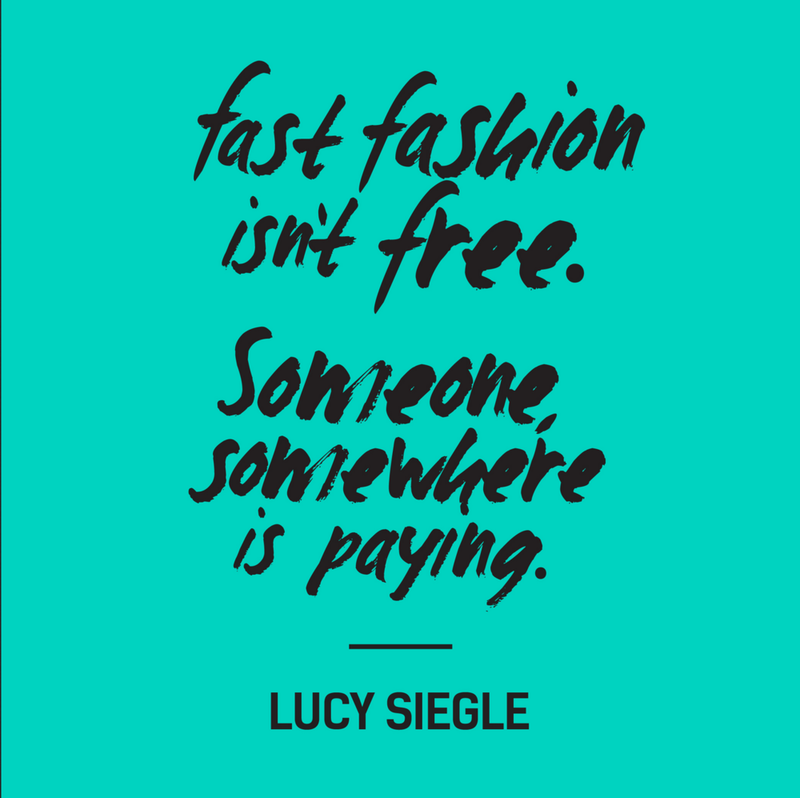 Check out the Fashion Revolution website here.